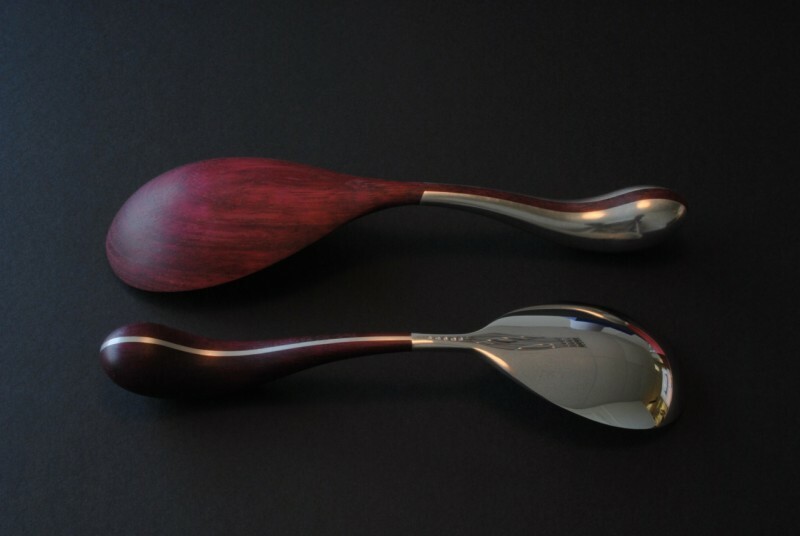 These spoons were made for a special exhibiton of Contemporary Silverware hosted by Christie's showcasing work by many members of Contemporary British Silversmiths. 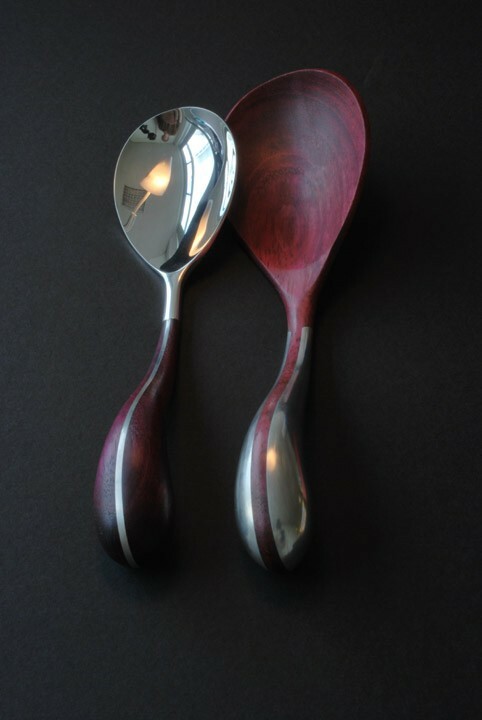 Tooke strove to create a contrast using Sterling silver and Purpleheart with both spoons whilst inverting the function of each material to opose the other. 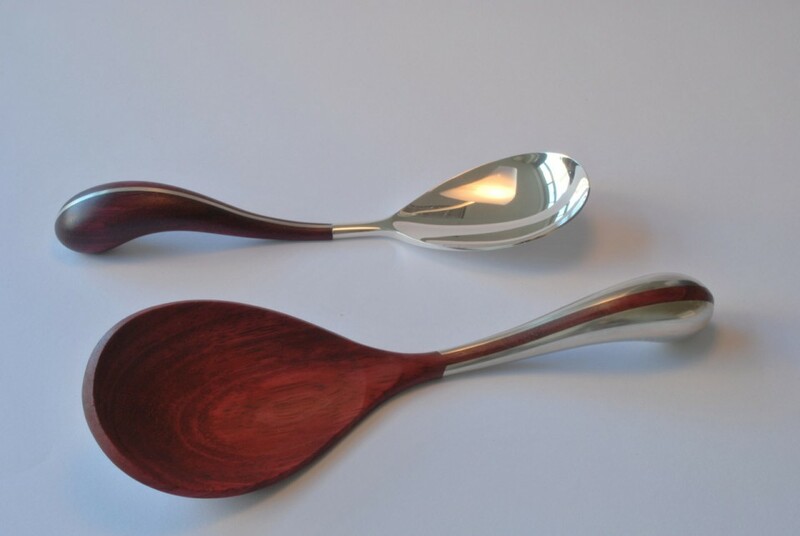 These spoons have sold, but similar work can be commisssioned if desired.